Scandinavian Black Metal has been in dire need for an injection of fresh blood during the last years. Now RIMFROST are powerfully sticking it to this scene with ice-cold needles. "Veraldar Nagli", which translates as "Axis of the World" meaning the North Star, is unleashing an avalanche of frost-bitten, melodic riffing. The Swedes from Borås are organically fusing Black, Death and Thrash Metal into a mighty sound of their own. 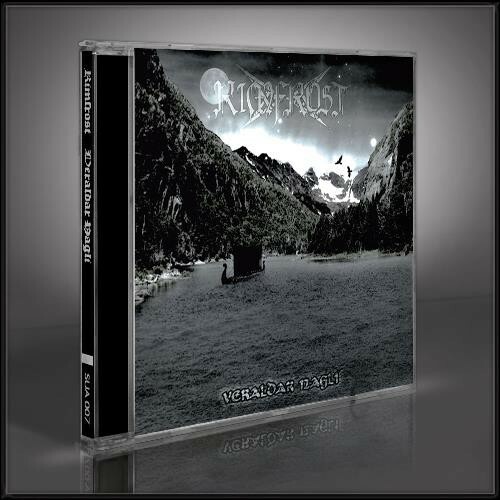 Drawing deeply from their roots like IMMORTAL, METALLICA and AMON AMARTH the RIMFROST take their songwriting with "Veraldar Nagli" to a new level.